Four important rural bus services, including one relied upon by students to get to school, are to be saved after Cambridgeshire and Peterborough Mayor James Palmer stepped in to keep the routes operating. The 46 service, which runs between Wisbech and March and is used by students attending Neale-Wade Academy, now has funding until the end of the financial year 2018/19, alongside three other routes. The Combined Authority (CPCA) funding will see the 196 Waterbeach to Cambridge service, the 31 Barley to Cambridge service and the 75 Wrestlingworth to Cambridge service maintained. These three services were in danger of ceasing after operator Go-Whippet decided to pull out of the routes. CPCA support of the 46 service will begin from August 25, in time for the start of the new academic year. 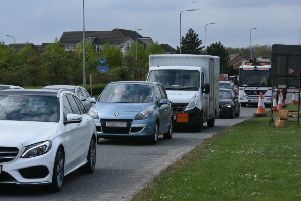 There has been concern locally from parents of school-age children about the future of the route. Stagecoach had previously announced the service 46, between Wisbech and March, would be withdrawn at the end of April 2018. That led to Cambridgeshire County Councillors agreeing in late March to fund a replacement bus service in the short term, at a cost of £36,000, and pledged that this support would stay in place until 25 August 2018. This ensured a continuous service during the critical school exam period particularly for students travelling to Neale-Wade Academy in March. Meanwhile the CPCA has already commissioned a full strategic review of how bus services across Cambridgeshire and Peterborough should operate, which is currently being worked up. Mayor James Palmer said: “While we await the results of the review into bus services in Cambridgeshire and Peterborough, it is reasonable that the Combined Authority, in exceptional circumstances, is flexible enough to act in the short term to keep vital bus services going. “But the need for these short term measures is another clear message that the status quo is not working. It is clearly not sustainable going forward for the Combined Authority to step in every time a service is under threat because it is deemed unviable by a commercial operator. “I think most people would agree with me that we need to take a fresh look at how our bus services work, and within the context of our other transport plans and priorities. Our strategic bus review is about finding the best solution that will deliver for people across the whole of Cambridgeshire and Peterborough, for whom buses are a vital link in getting to work, school, seeing friends and family and accessing community services. Cllr Steve Count, leader of Cambridgeshire County Council, said: “I am delighted that the Mayor has agreed to take over funding these four routes to the end of the financial year. This will be a huge relief to people in local areas who depend on them. “While I have been pressing for this to happen, I am aware that we need to find a more permanent solution to the issue of funding vital links to rural communities which are seen as uneconomic by commercial companies.